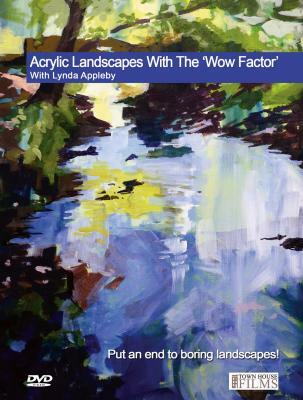 Lynda Appleby is an artist with a mission.She believes anyone can create attention-grabbing landscapes if they just follow her simple approach to acrylic painting. She loves acrylics for their versatility and in four exciting demonstrations shows how to put them to good use capturing landscape subjects from the UK and f rom a recent trip to Australia. Her aim is to capture that "wow factor" that first inspires the artist to paint the scene. Be inspired! Running time: 1hr 45mins approx.